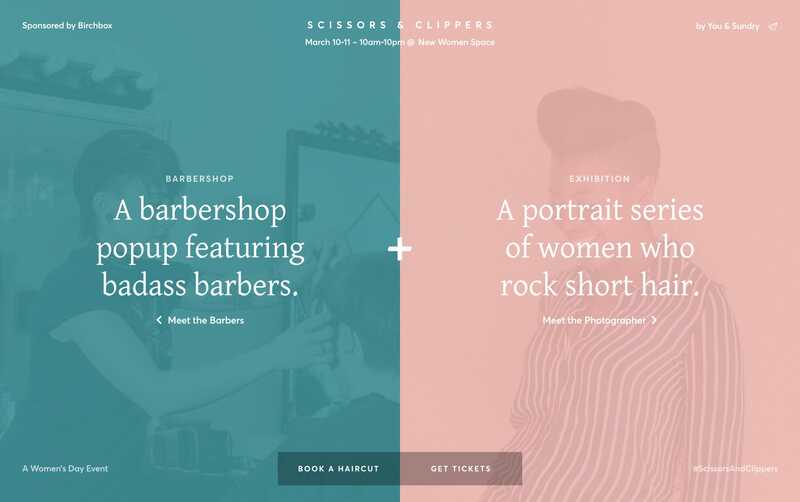 Unique content browsing in this centrally-divided One Pager for Scissors & Clippers – a pop up barbershop and portrait series exhibition celebrating women and gender nonconforming individuals who cut and rock short hair. Produced by You & Sundry. Sponsored by Birchbox.